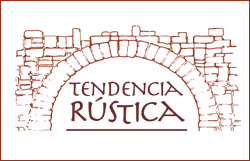 The purpose of the formation of Tendencia Rustica (a legally registered Mexican company) was to provide a construction arm to pjb design studio’s business activity. This allows greater control over both product quality and service in the field. Our bilingual, experienced team works diligently to meet the highest of expectations. We are ready to give you what you want. Drawing from what we have learned during our many years of experience, we have targeted and teamed up with only the best, most reliable subcontractors, craftspeople and suppliers for our projects. Our pricing is competitive, and our quality is second to none!